The iPhone 4 is a relic of the past, but we are going to answer a question which many have been asking lately: iOS 8 for iPhone 4, can you upgrade? And which is the latest version of iOS available for iPhone 4? Smartphones and tablets are in a constant state of evolution and many legendary devices have been left in the dust over time. The iPhone 4 happens to be one of them that made severe waves when announced, but quickly saw itself superseded by other pieces of technology. Nonetheless, the software support for the device from Apple has been no less than astounding over time. Speaking of which, many users have been asking if iOS 8 for iPhone 4 is available. The quick and concise answer to that question is a straight forward NO. With the release of iOS 8, Apple dropped software support for the iPhone 4 due to its aging hardware and of course, performance related issues. 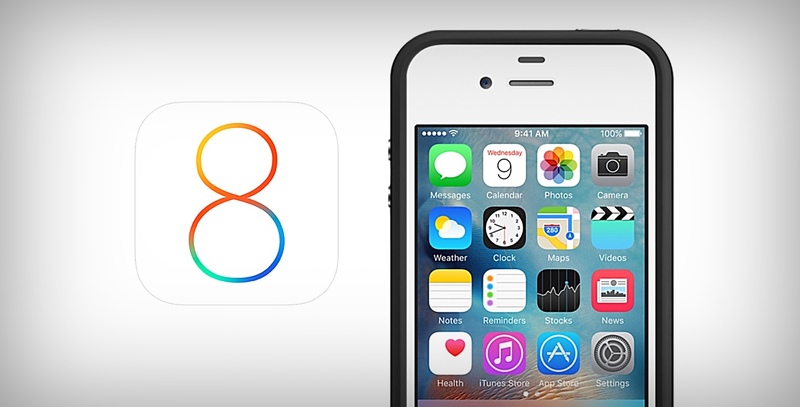 And since Apple has full control of the software as well, there’s no way around installing iOS 8 on iPhone 4 either. There are no custom ROMs available too. Currently, the latest version of iOS available for iPhone 4 users is iOS 7.1.2. Apple is signing this firmware to this day if you wish to restore your device using iTunes. But remember, there are going to be no software updates for the iPhone 4 after iOS 7.1.2 and that’s the end of the line for the smartphone. In fact, just recently, Apple put the iPhone 4 in its list of obsolete devices as well. Still, if you are looking to download iOS 7.1.2 for iPhone 4, we have the links embedded below. Given the age of the iPhone 4, it’s amazing how well the device has stood the test of time. But with the release of iOS 7, the performance related issues were all over the place. Given how bad things were even after a few software updates, it was clear that the device won’t make it past the iOS 7.1.2 mark. With the arrival of iOS 8, that notion was only confirmed, and Apple dropped software support for the iPhone 4 entirely. If you have an iPhone 4 right now, it’s best to consider upgrading since it is running an aged operating system from Apple. There are security related risks involved when it comes to running older software, and it’s beset practice to keep yourself safe given any opportunity. But, if you do not use your iPhone 4 for anything beyond texting or making calls, then there’s no point in upgrading at all. After all, it’s serving the basic functions for you pretty well. Why put a spanner in it, right?